"Equine Infectious Diseases is a complete up-to-date review essential for both the general equine practitioner and the specialist, covering both common and rare infectious diseases of the horse, with an international collection of contributors from USA, Canada, United Kingdom, Germany, Denmark, Australia and South Africa. While this book is a complete and detailed review of infectious diseases in horses, with the latest information on diagnosis, treatment and control of infectious diseases, it is also easy to read, the information is clinically relevant for the practitioner and information is easily accessed. This book is highly recommended for all veterinarians involved in equine practice." 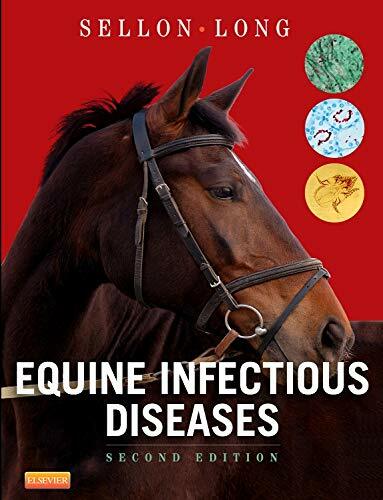 This is an extremely comprehensive and detailed reference book on infectious diseases of horses with contributions from many world renowned experts in their various fields. It covers both organ system infections and discussion of specific viral, bacterial, rickettsial, fungal and parasitic diseases and has a final section on the prevention and control of infectious diseases. Recognition, treatment and control of infectious diseases remains the cornerstone of clinical equine practice, never more so now climate change is leading to the spread of disease vectors and bringing diseases previously considered exotic to more temperate regions of the world. Inevitably, the book has a North American bias, as the editors are based at North American Universities and the majority of the contributors are based in North America. Nevertheless, this does not detract from its value as a reference book. The chapters are extremely well illustrated and include a wide variety of illustrations of clinical cases, pathological specimens and histological slides. There is extensive discussion of the laboratory diagnosis of each disease with detailed information on the biochemical characterisation of each organism. Detailed references are included on an easy to use CD-ROM. Unfortunately, given the rapidly changing nature of infectious diseases, some subjects are already out of date. For example, no mention is made of the recent Irish outbreak of Equine Infectious Anaemia and the unusual epidemiological features of this outbreak. This is an extremely comprehensive, well illustrated summary of equine infectious disease and I can thoroughly recommend it to all those who wish to obtain detailed summaries of the major equine diseases. The section on Prevention and Control of infectious diseases is particularly useful in illustrating the approach to diagnosis and control of infectious diseases, with detailed discussion of epidemiology, biosecurity and antimicrobial therapy. With the ever increasing international travel of horses and climate changes it has never been more important for equine veterinary surgeons to be alert to the possibilities of new and emerging diseases in the U.K. This book will provide an essential reference for all those wishing to be informed on both familiar and less familiar infectious diseases of horses. Ideal for both practitioners and students, this comprehensive resource covers the diagnosis, treatment, and prevention of infectious disease in horses. Organized by infectious agent ― virus, bacterial and rickettsial, protazoal, and fungal ― it includes complete coverage of the individual diseases caused by each type of agent. A section on clinical problems examines conditions such as ocular infections, CNS infections, and skin infections. It also addresses the importance of preventing and controlling infectious disease outbreaks with coverage of epidemiology, biosecurity, antimicrobial therapy, and recognizing foreign equine diseases.